Perhaps no one is more excited about the opening of the Polin Museum of the History of Polish Jews in Warsaw than Luna Kaufman. 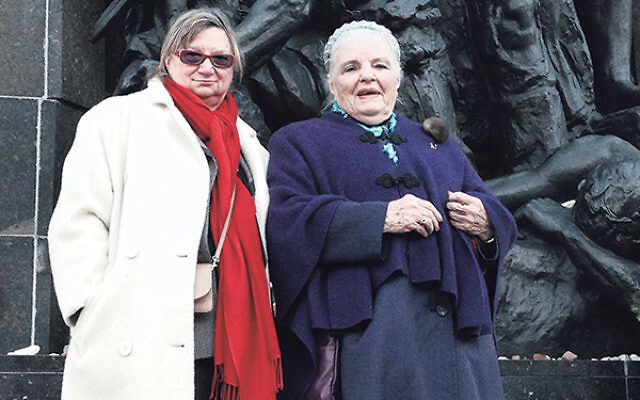 A native of Cracow who survived the Holocaust, the Watchung resident was a guest of the Polish consulate in New York for the Warsaw-based ceremonies on Oct. 27-28. The $100 million museum, located on the site of the Warsaw Ghetto and directly across from the Monument of the Warsaw Ghetto Heroes, uses state-of-the-art technology and multimedia installations to narrate 1,000 years of Polish-Jewish history. Kaufman is a member emerita of the Sister Rose Thering Fund at Seton Hall University in South Orange and former president of Temple Sholom in Plainfield. She was interned in the Cracow Ghetto with her family before being deported to the Plaszow, Hasag-Skarzysko, and Leipzig concentration camps; her sister and father would ultimately perish at Stutthof and Auschwitz, respectively. Some 70 years after her liberation, the museum opening was an opportunity for Kaufman to share personal impressions of the ceremonies and her optimism over what the new museum symbolizes. Kaufman learned that the museum’s goal is to tell a far broader history of Polish Jewry than its destruction during the Shoa. Polish President Bronislaw Komorowski and Israeli President Reuven Rivlin jointly inaugurated the core exhibit at ceremonies that included survivors, funders, and other dignitaries. 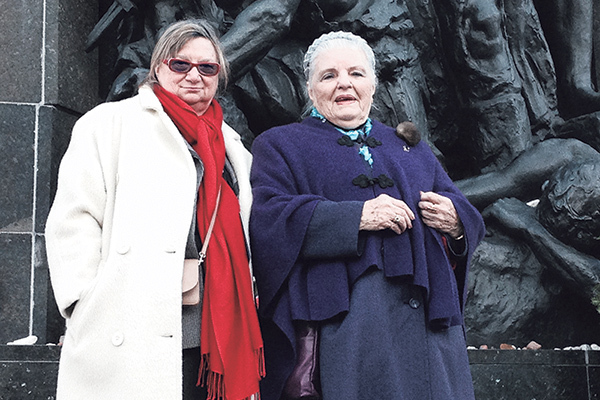 Hundreds of thousands of people — Poles and Jews, locals and foreigners — have visited the museum in the 20 months since the building was opened to the public. Organizers expect a half-million or more each year now that the core exhibit has opened. “To see people now reconciling and recognizing each other with great respect was tremendous, and while I was there, I spoke fondly of Sister Rose and my longtime work and friendship with her,” said Kaufman, referring to the late Catholic nun and scholar who made Seton Hall a center for Jewish-Christian reconciliation.